One of the great fears of the early space race was what effect microgravity would have on human explorers — and while we know it won't instantly die when leaving the atmosphere, there's still a lot we don't know about the long term effects of low gravity. If we ever want to set up a long-term space settlement, it'd be good to have some idea what happens to the body in those environments... and according to some new research, it isn't good. 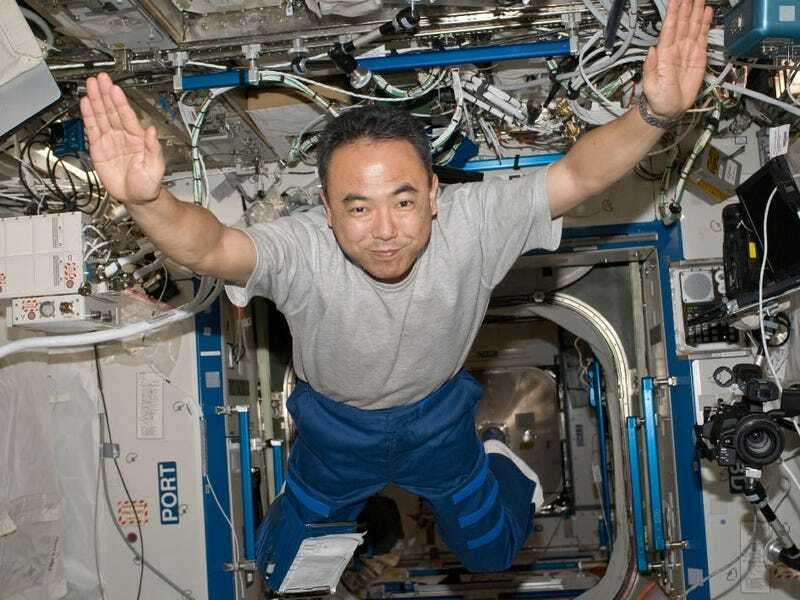 Top image: Japan Aerospace Exploration Agency astronaut Satoshi Furukawa. An article published BMC Genomics looked at the effects of magnetically induced weightlessness on the life of the fly. Flies have long been a major part of space research, and remain a key component in understanding its effects to this day. By keeping the flies in microgravity over their entire development cycle from embryo to adult, the researchers were able to ascertain a number of problems, and they aren't pretty. It appears that the weightlessness not only slowed development, but also interfered with the expression of a number of genes during the insect's development — including those involved with cell signaling, the immune system, response to stress, and changes in temperature. Unfortunately, it's difficult to pin exactly the effects of microgravity, as the magnetic field also influenced the flies' development — it turns out spending their entire lives in a 11.5 Tesla field wasn't that great for them either. Nevertheless, the combination of weightlessness and magnetism seemed far more troublesome than the magnetic field on its own, and could have major ramifications if we ever do want to send humans on a considerable length journey into space.